We’ve currently found 867 different exoplanets, but have yet to definitely determine if one of those harbors life. How will astronomers make that determination? They’ll look at things such as its composition, orbital properties, atmosphere, and potential chemical interactions. While oxygen is relatively abundant in the Universe, finding it in the atmosphere of a distant planet could point to its habitability because its presence – in large quantities — would signal the likely presence of life. But where to look first? A new study finds that we could detect oxygen in the atmosphere of a habitable planet orbiting a white dwarf – a star that is in the process of dying — much more easily than for an Earth-like planet orbiting a Sun-like star. Loeb and his colleague Dan Maoz from Tel Aviv University estimate that a survey of the 500 closest white dwarfs could spot one or more habitable Earths. Potential habitable exoplanets, as of Feb. 18, 2013. Credit: The Planetary Habitability Labratory at UPR/Arecibo. A white dwarf is what stars like the Sun become after they have exhausted their nuclear fuel. It puffs off its outer layers, leaving behind a hot core which can be about the size of Earth. It slowly cools and fades over time, but it can retain heat long enough to warm a nearby world for billions of years. Currently, most planets that we’ve found orbit close to their parent star, since astronomers find planets using astrometry by the gravitational influence the planet has on the star, causing it to wobble ever so slightly. Massive planets close to the star have the biggest effect and so are the easiest to detect. Using the photometry, astronomers see a dip in the amount of light a star gives off when a planet passes in front of the star. Since a white dwarf is about the same size as Earth, an Earth-sized planet would block a large fraction of its light and create an obvious signal. Photometry, or the transit method, has proven the best way to find exoplanets. A white dwarf is much smaller and fainter than the Sun, and a planet would have to be much closer in to be habitable with liquid water on its surface, so that should make planets around a white dwarf star easier to detect. A habitable planet would circle the white dwarf once every 10 hours at a distance of about a million miles. But there’s a caveat: Before a star becomes a white dwarf it swells into a red giant, engulfing and destroying any nearby planets. Therefore, a planet would have to arrive in the habitable zone after the star evolved into a white dwarf. Either it would migrate towards the star from a more distant orbit or be a new planet formed from leftover dust and gas. However, we have yet to find a exoplanet around a white dwarf, even though Loeb and Moaz say the abundance of heavy elements on the surface of white dwarfs suggests that a significant fraction of them have rocky planets. We need a better eye in the sky to find planets around white dwarfs, say Loeb and Maoz, and the James Webb Space Telescope (JWST), scheduled for launch by the end of this decade, promises to sniff out the gases of these alien worlds. Loeb and Maoz created a synthetic spectrum, replicating what JWST would see if it examined a habitable planet orbiting a white dwarf. They found that both oxygen and water vapor would be detectable with only a few hours of total observation time. I should think that the chances of finding a habitable planet around a white dwarf are far less than this article predicts. There are also questions about how frequenty planets form about a white dwarf, and there is just not enough evidence to support this idea as commonplace yet. Answering this question is certainly worth observing time on the JWT. De novo material left behind from a solitary dwarf probably will not form a suitable disc for planets to develop. I suppose that if the white dwarf has a suitable comapnion it may be able to pull enough matter to form a protoplanetary disc (assuming it does not lead to a Ia Supernova.) The mechanism for this to happen is murky at best, but if such a disc forms, planets will follow, and some of them in theory would migrate into the habitable zone. Although the brightness of a white dwarf enables transits to be spotted and atmospheres analyzed with relative ease, its small size means near perfect alignment is needed to spot transits. Sorry, I didn’t want to trample on your excellent commentary, but I just saw the above double-degeneracy model for predicting 1a supernova. If it stands up is one thing (but to an outsider it looks promising), and your proposed mechanism for debris disks is another so it remains. But I don’t see the models as mutually exclusive. It could be that a stellar corpse could accrete enough material to explode before the companion star turns into another stellar corpse, or afterwards. This raises the intriguing possibility of a second common envelope, disc, and a chance for more planets to form and then spiral into a tight orbit around either stellar corpse. Also the common envelopes provide a mechanism that brings both stellar bodies closer to each other in order to generate a Ia supernova by either model. Interesting, since the very first exoplanets were orbiting pulsars. And we certainly see many white dwarfs with debris disks and comets, the ubiquitous signs of planetary system (re)formation and/or survival. So potential habitable planets will mostly depend on planet reformation out of debris disks. Annoying, since once again our methods are set to explore the less interesting planets first (fewer systems), akin to early hot jupiter surveys. “A double white dwarf explosion addresses the problems of the white dwarf/red giant model: double-degenerate pairs are both common and would leave no trace (when one white dwarf explodes, so would the other). Pakmor et al. suggest a new explosion mechanism for the white dwarf/white dwarf pair–one that could lead towards a single model for all Type Ia supernovae. And: “Observations have failed to note signs of accretion leading up to Type Ia supernovae,“. There is also the tidal locking issue. Any planet formed from the planetary nebula cast off by the dying star in a red giant phase in the habitable zone would be awfully close to the white dwarf. In addition the radiation environment there might not be terribly life friendly. Well, as I always have maintained and there is now a paper on (sorry, just dropping in so I’m not linking), this is no problem: the habitable zone planets are merely pushed onto ones with an initially thicker atmosphere. For some thickness and above, a thick atmosphere will efficiently distribute the heat over the planet surface. It is (mostly) a zero-sum game to worry about tidal locks. There is the cast of the two planets that form around a pulsar one of the first extra solar planets found in 1995. I’m not an expert, but it seems like this would be a waste of resources compared to contributing to existing planetary research of main sequence stars. Sol will, in a few billion years, swell to a red giant and then shrink down to a white dwarf, however, it will destroy all of the inner planets (Mercury, Venus, Earth…-maybe- even Mars). The only chance Earth has (ignoring speculative human intervention in the future) is if we are lucky enough to get pushed by Sol and pulled by Jupiter into a safe orbital distance. Even if that happens, however, Earth would be a charred cinder. So we’re talking about studying stars that would have already destroyed any habitable planets in their system in the hopes that a new planet would have formed or migrated into the new incredibly close habitable zone and Then had the right components to spark life anew. I’m not saying it’s impossible as I truly believe that with all the stars, etc in the universe this has and will happen many times over. The problem is that I find it so incredibly less likely: A) To happen B) To happen close enough for us to see C) To happen close enough to see and transit the parent to be detectable D) For us to actually detect it, that it’s simply a waste of time and effort looking at this point compared to what I would term ‘more viable’ systems. There are plenty of stars to watch…more than enough to go around many times over…the remnant white dwarf corpses should be one of the lowest on the priority list. This is basically the reasoning everyone else is using. However as we have learned over and over again in astronomy, when we point a new and improved telescope at something we are often surprised by what we find. If some models predict that planets may be in the habitable zone of a white dwarf, then it is at least worth a look. It is also worthy of discussion in advance of whether studying white dwarves for planets should be enough of a priority to be granted the necessary time on the JWT. Of course I’m not saying it’s something that shouldn’t be looked into at all. Just that at our relatively early stage of exoplanetary discovery, this should be noted as a possibility while we concentrate our efforts, for now, of looking at the higher probabilities and current habitable candidates. If there’s free time available on the equipment, then by all means someone should make use of it though. There are many variations of systems that could host a habitable world, so the more we can check is always better. If we discover another type of system is more-likely to host something interesting than another, we use that to refine our priorities and continue. 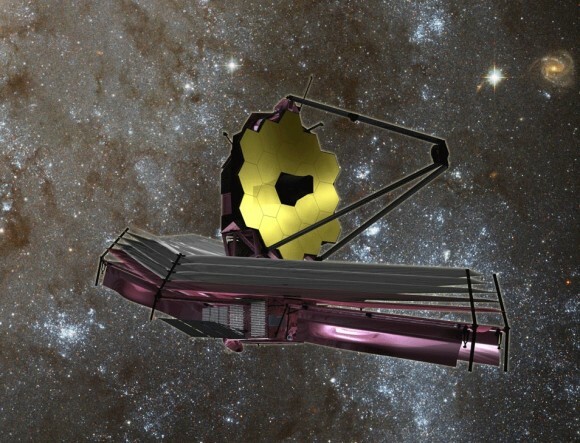 There will be ruthless competition to get time on the JWST (proper acronym) and many will doubtless be left out in the cold, so to speak. Even though I would like to see time devoted to this kind of study, I think the authors have over-estimated the number of habitable worlds that could be found and therefore in my view aren’t likely to get it. Hopefully I am wrong about this. Torbjorn and Icrowell bring up good points… Here’s another. An advanced ETI might choose planets orbiting red dwarfs over main sequence stars for gathering metals. The terrestrial planets that remain after a main sequence star processes through it’s red giant phase will have much of it’s lighter metals evaporated, leaving the denser core(s), therefore making extraction of those metals easier?